Beautiful character apartment with 80 square meters of modern and contemporary design. Relax and indulge in your very own spacious, stylish and quiet home set over two levels. 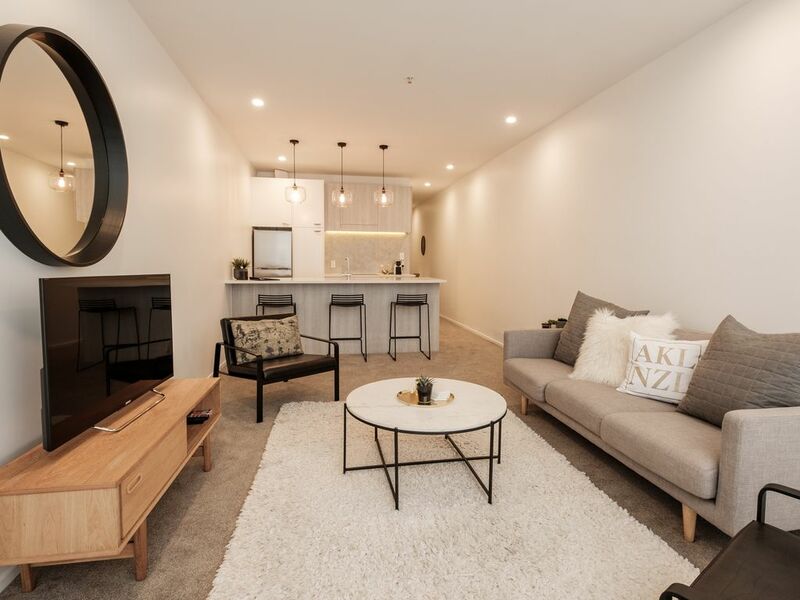 Enjoy the convenient city location where you can walk to restaurants, cafes, bars, markets, parks, shopping, ferries and Auckland's art gallery, museum and when you've had enough head back to the peace and tranquility of your home from home. Stylish and bright fully furnished apartment, comfortably fits four people. Downstairs has a spacious open plan kitchen, living room and patio with a laundry and powder room. Upstairs has two double bedrooms with shared bathroom. FREE UNLIMITED WIFI, 40" TV , full cooking facilities, Nespresso machine, fridge freezer, dishwasher, washing machine and dryer, air-conditioning and heat pump. Our aim is to make sure you have the best stay possible. If there is anything you need during your stay please let us know by texting or emailing. We respond to requests from 8am to 8pm every day. Please note this apartment is listed on other websites. Please message to check availability. Thank you! Make yourselves at home and treat as you would your own. - Smoking is not permitted inside or outside on the balcony. We take our guests health seriously so for your comfort and safety we have a tamper proof 'MethMinder'. It monitors the air quality and will detect and report immediately any chemicals brought onto the property. This means you are safe guarded against smoke or drug related toxins during your stay. Only 3 minutes walk the buses, trains, ferries and airport shuttle. Hi. The apartment was in an awesome spot situated very close to shopping, the Viaduct, & Ferry terminal. The lights in the kitchen, microwave & balcony could do with a better clean. General cleaning was good. We would stay here again. My only other observation is that when I had paid the final part of the deposit & received the receipt for full payment I wasn't advised that the details for the apartment i.e how to access it would be sent closer to the day we were staying. This needs to be communicated better as I started to feel like I had been part of a scam. Overall the stay was great. Thank you for staying at our property and your review, we agree that the location is truly amazing. We really appreciate the feedback around cleaning the lights and will definitely make sure that we raise that with our cleaners to make sure this is improved. Great location and stylish apartment. Just as it appears in pictures...would stay here again. Only disappointment was the second bathroom was only a half bath and we had three guests. Perfect location. Huge apartment in perfect condition. Great linen and cleanliness. Great location. I recommend this property. Excellent location. Within a 15 min walk to Art Gallery, Skycity Casino, Spark Arena and Ferry Terminal. Good value.